Oh Whoopi Day. | I AM SAB. I’m on a Sister Act high. 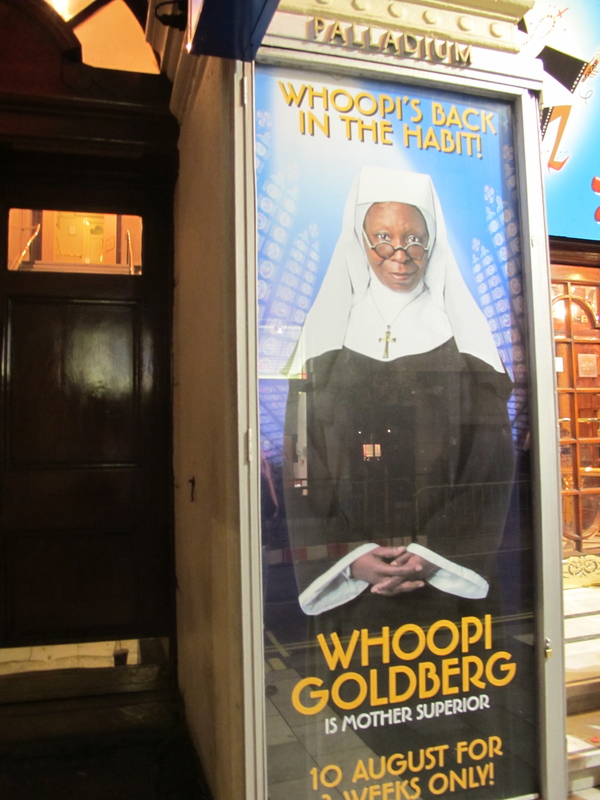 I was fortunate enough to see it on West End, with Whoopi Goldberg in the cast. She doubled as the show’s co-producer and as Mother Superior in the new smash hit musical. 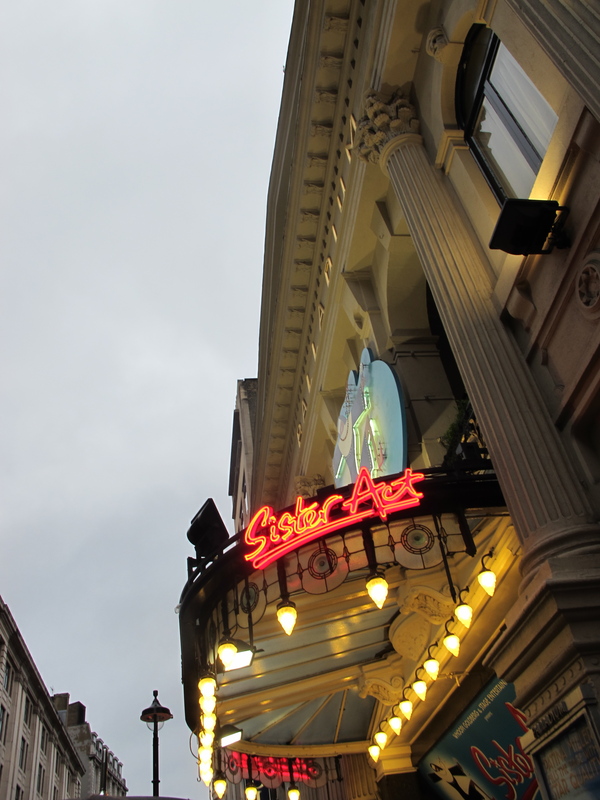 The set was magically thought out and crafted, the music divinely put together by Mr Menken and, the cast, a perfect mix and match of color, culture and powerhouse vocal chops. More than the Whoo in Whoopi or the Gold in Goldberg, it was actually the supporting cast that brought the house… or Jesus’ house down. 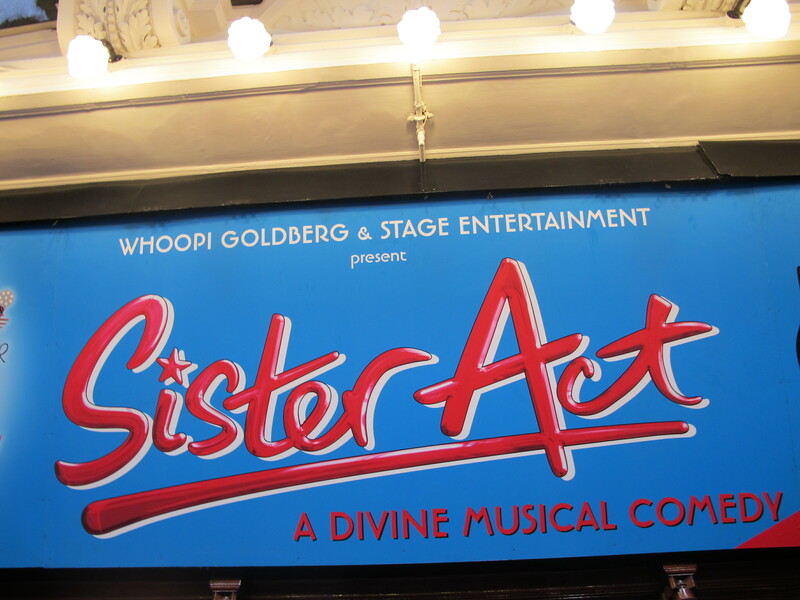 With Patina Miller as Deloris, Claire Greenway as Sister Mary Patrick, Ako Mitchell as Eddie and GSA graduate Katie Rowley Jones as Sister Mary Robert, the cast filled the cathedral of a theater with an energy so explosive, you couldn’t help but be overwhelmed. Praise Jesus.